I met Sonja Yoerg through the Tall Poppies – a wonderful group of women authors who support one another, and, if I’m being honest, Sonja is (insert expletive) amazing. She’s funny, generous, and so very smart. And her books, HOUSE BROKEN and MIDDLE OF SOMEWHERE are just the same. Right now, her debut, HOUSE BROKEN, is an ebook steal on most sites. Click here for a the links! 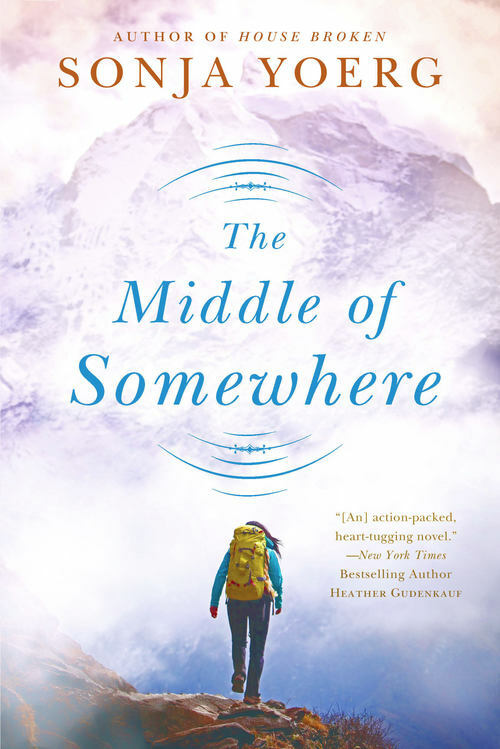 Sonja’s second book, MIDDLE OF SOMEWHERE, releasing September 1st, tells the story of Liz Kroft, a troubled young widow who hikes from Yosemite Valley deep into the wilderness on the John Muir Trail to elude her shameful past. Liz’s thirtieth birthday is looming, and she’s heading for the hills—literally. Her emotional baggage weighs her down more than her backpack, but a three-week trek promises the solitude she craves, at least until her boyfriend, Dante, decides to tag along. His broad moral streak makes the prospect of confessing her sins more difficult, but as much as she fears his judgment, she fears losing him more. Maybe. I adored MIDDLE OF SOMEWHERE — and you have a chance to win your own copy – details are below. Sonja stopped by to share a little bit about all the wonderful moments to celebrate on the way to publication. The Internet is bulging at its virtual seams with information for aspiring and first-time authors: advice on plotting and pacing, how-tos on pitching, punctuating and posing for your headshot. There are more tips than you’d expect from a room full of bookies. But here’s one thing about getting published that no one prepares you for: the vast quantity of celebrations. With any luck, the next celebration will be when your agent secures a verbal agreement from a publisher. Break out the good stuff, because you’re going to be an author! What a day! And when the publishing contract arrives in the mail and you sign it like you’ve never signed anything before in your life, well, that, too deserves a toast, especially if your contract arrives months after the verbal, like mine did. Then there’s your first check, the cover (not always cause for celebration, but here’s hoping), and the copy edits, your first blurb, the first pass pages (your words typeset just for you! ), your first great blurb, the arrival of the ARCs (books! in a box! ), your first glowing review by someone you don’t send holiday cards to, the arrival of the finished copies (*heart stops*), and, at long last, publication day! That’s a lot of milestones, and they don’t stop at publication. It’s become a joke in our house. My husband reaches into the wine cabinet and pauses. “The usual plonk, or is there book news we’re celebrating that for some reason you haven’t yet shared—twice?” I love to share. And he’s a good sport, with a strong liver. By the time your pub date approaches, you’re probably already toasting milestones for your second book. My debut released in January, the second is out in ten days and I’m lining up the shot glasses for positive news on number three—ever the optimist. Of course, not all the news is cause for celebration. It’s a rough, baffling business, and everything that makes for good writing puts your heart in the open. A review can boil your blood, or have you reaching for a tissue. An editorial letter can gut you. And swirling all around is the rest of life— kids and jobs and families—creating swells that lift you up and drop you down. That’s precisely why I aim to celebrate every piece of happy book news that comes my way. I’m immensely lucky to have something to celebrate, and when you get there, I hope you celebrate every single milestone, too. Cheers! Cheers, Sonja! Here’s to many more reasons to toast! GIVEAWAY: Comment on this post by Noon (EST) on Friday, August 28th to win a copy of MIDDLE OF SOMEWHERE. Follow The Debutante Ball on Facebook and Twitter for extra entries—just mention that you did so in your comments. We’ll choose and contact the winners on Friday. Good luck! Sonja Yoerg is the author of two novels, HOUSE BROKEN and the upcoming MIDDLE OF SOMEWHERE (Penguin/NAL, 1 Sept 2015). She earned her Ph.D. in Biopsychology from the University of California at Berkeley and wrote a non-fiction book about animal intelligence in Clever as a Fox (Bloomsbury USA). Sonja lives in Virginia’s Shenandoah Valley. 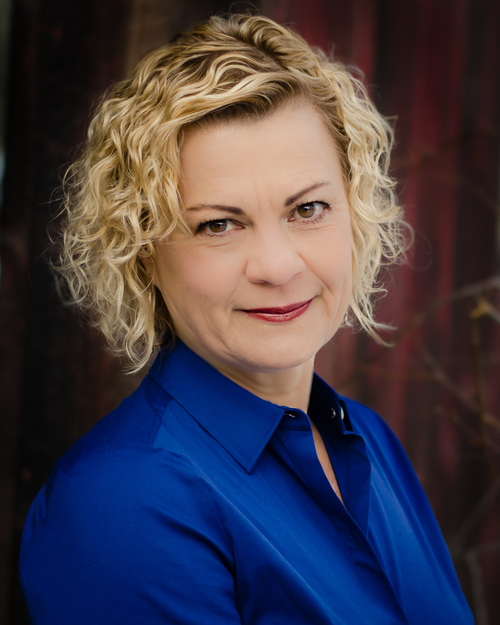 Find out more about Sonja on her website, Facebook, and Twitter. This post is so unbelievably on point … thank you, Sonja! And good luck with book 3, and your other two books already (or almost) out int he wild 🙂 I can’t wait to read MIDDLE OF SOMEWHERE! Thanks, Karma! I appreciate your kind thoughts. I’ve been meaning to read this author for the longest! Hi Sonja, I am loving your book House Broken! My dog Wally loves when I cuddle up on the couch with him and read, he is my forever dog, and gives me complete joy! I would love to win a copy of The Middle of Somewhere and for sure will mention your books on Facebook and Twitter! I’m so pleased you’re enjoying House Broken, and that Wally loves it, too! Thanks for entering the giveaway and good luck! I’m reading House Broken now and I love it. I’m looking forward to reading this one. Thanks for giving my debut a shot, Kimberly, and best of luck in the giveaway! Thanks for taking a chance on a new author, Lyn. I appreciate it!